Ponencias por parte de Edison Edison Alexander Durán, explicando el camino al transhumanismo ya próximo gracias a los últimos desarrollos de la ciencia. Y de Abelardo Jesus Marquez hablando sobre los últimos desarrollos en robótica y cómo estos nos ayudarán a mejorar al humano. 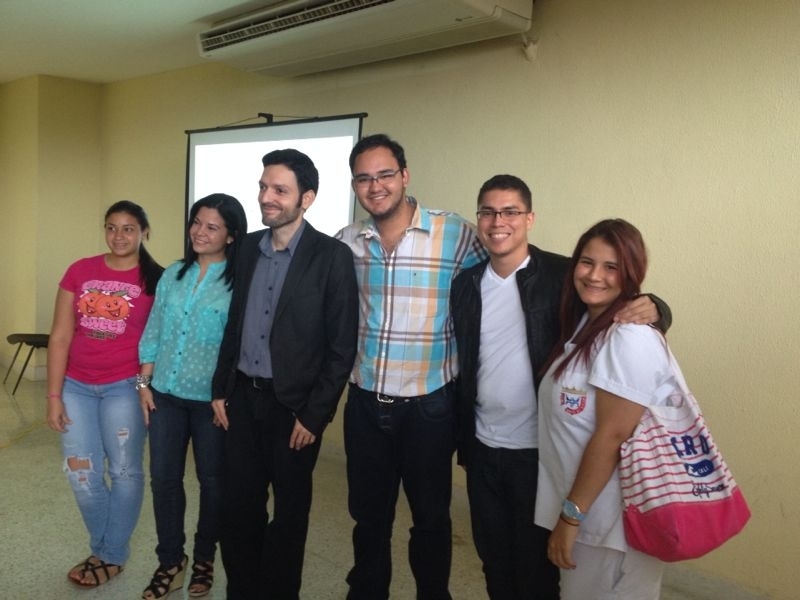 - Jose Antoino Paez University, in Carabobo, was the chosen place to welcome this first International Longevity Day. A crowd of at least 20 students and professionals gathered at 3:00pm to be present for the two talks that were prepared to honor such a day. 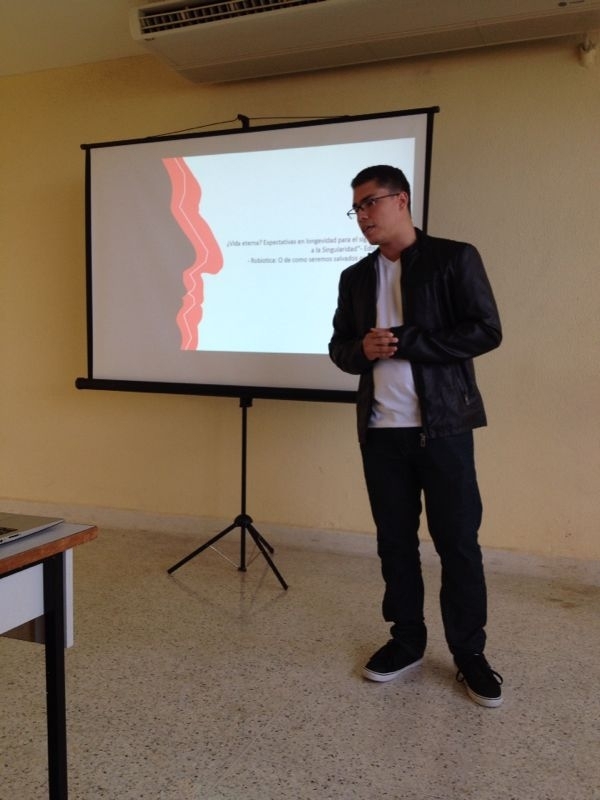 At first, Abelardo Marquez talked about the importance behind this date to the public,and how it is important to make the people aware about the latest discoveries and advances on aging and human enhancement. Also a surprise appearance, a welcoming video by Jose Luis Cordeiro was presented. Next came Edison Duran, his talk, called "Eternal life? : Expectancy on longevity at the 21st century at the arrival of the Singularity", were he exposed how science have been improving life in the latest years, talked about how this century represents a total disruption in the human life and the arrival of The Singularity, allowing us more intelligent systems that will impact on our life expectancy: the possibility of curing aging, the use of advanced prosthetics and organ printers were one of the many amazing discoveries and trends that held the crowd in interest. Then came Abelardo Marquez, for the closing talk, which was centering on robotics, called: "Robiotics: The dawn of the new machines" where was presented how developments in robotics will allow the human to lower the everyday risks of living with such a vulnerable bodies: Robotics focused on transport, where many deaths are reported by year. Developments on rescue robots, for supporting on tragedies as the Fukushima Nuclear plant disaster. Also the use of Prostetics allowing amputees to live a normal life. 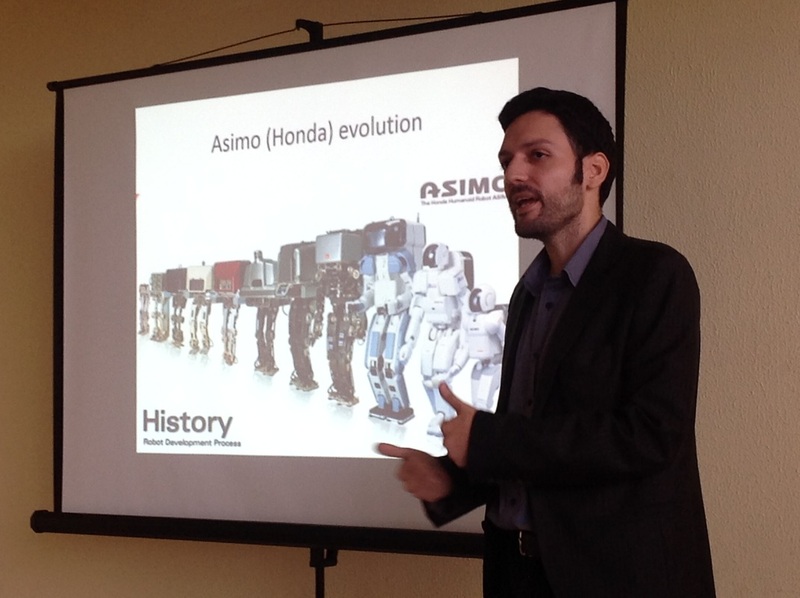 New developments on nursing robots were also presented which seems to become a new trend.